This beautiful photo was captured at an Indian wedding in Virginia. I am NJ based, but as a destination wedding photographer, i travel anywhere. 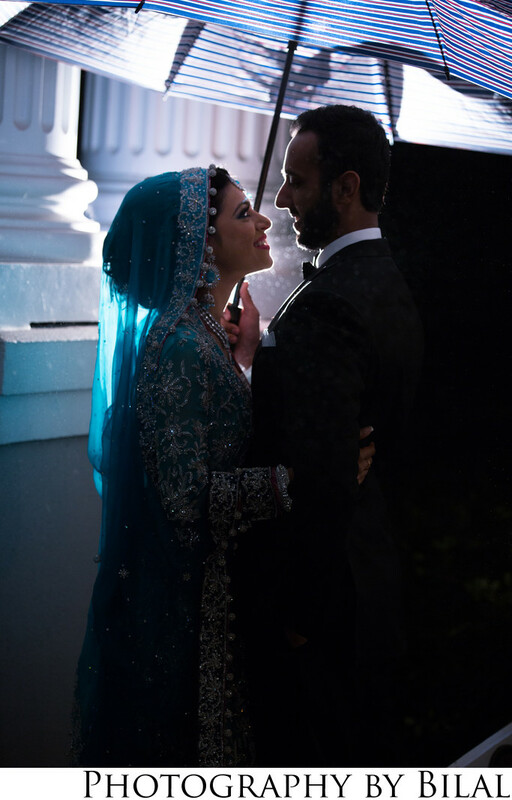 The best part about this photo-it was raining but we made the most of it, by using the umbrella as a prop and a little bit of creative lighting.